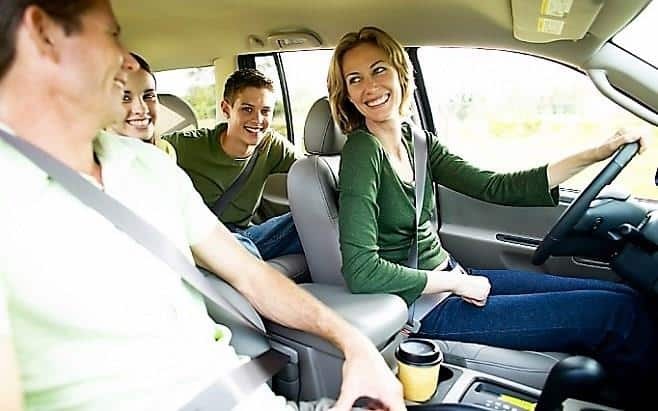 If you are planning on taking a road trip, we have some tips to make sure that you arrive at your destination comfortable, pain free and ready to enjoy! One of the most important things you can do while driving is to stop and stretch your muscles every two to three hours, this relieves tension throughout your body, keeping your blood circulating. Before beginning your journey, take some time to set up your car properly, adjust your seat so that it is close to the steering wheel and you don’t have to lean out to reach it. During your journey make regular adjustments to your seat’s position changing your posture, this takes pressure off of your spine reducing spinal pain. A simple and effective tip is to place a lumbar support pillow on your car seat, this adds extra comfort to your seat providing support to the curvature of your lumbar spine. It’s light weight portable, adjustable and easy to travel with. If you don’t have one on available, you can use your jumper or a blanket. If you experience any issues as a result of spending long periods of time in your car, you can consult one of our Physios at any of our locations.